Wednesday’s Lineup includes a show that is entering it’s 37th season. I’ve watched every single episode from the beginning. It also features a kids comic book turned drama that a lot of people rave about, One of the longest running comedies, and a few new shows. Check out all the previews, promos, and sneak peaks below! Riverdale is back for Season 3! I stopped watching it a couple episodes into the first season. 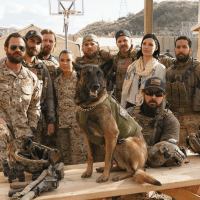 The Seal Team Dog is awesome! Single Parents is a new comedy on after Modern Family on ABC. Check out the sneak peek and the cast discussing what to expect.